With more than 25 locations along the Cumberland Valley Beer Trail, the choices can get overwhelming. Here are some favorites to help you narrow your search for the perfect drink. 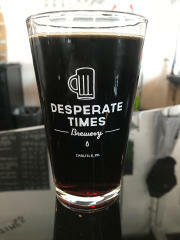 I’m all about the dark and robust beers and one of my favorite places to find them is at Desperate Times Brewery in Carlisle. Their Black Forest Schwarzbier, Vanilla Robust Porter, and Honest Lawbreaker are roasty, smooth and balanced with a full-bodied flavor. In fact, the Black Forest Schwarzbier won a 2nd place ribbon in the Dark Lager category at the first Pennsylvania Craft Beer Competition and also won a silver medal at the 2017 Great American Beer Festival. Each one pairs nicely with the German-inspired food menu which offers, among other items, a selection of authentic sausages, schnitzel, and homemade sauerkraut. If you don’t like dark beers, Desperate Times has plenty of other options, with 12 rotating beers on tap. Up until a year ago, I was a wine drinker. I found that fruity wheat beers were a good introduction into the craft brew world, and remain one of my favorite beers to sample. Hands down, my favorite find has been the Black Currant Wheat from Molly Pitcher Brewing Co. in Carlisle. It showcases all of the delicious characteristics of a traditional wheat beer, with fruity notes and a slightly tart finish from the black currants. Plus, it has a gorgeous pink hue that makes it a perfect for Instagram photos! Give me a peanut butter beer and I’m probably going to like it. The Peanut Butter Porter at Molly Pitcher Brewing Company, however, is the best of these flavors. It’s a dark beer as you would expect with a porter and offers a great smell of peanut butter and some chocolate. The porter can be enjoyed as a dessert beer or the first of a few. The flavor is exactly what you want when introducing peanut butter. I am on a constant quest for the most delicious beer in the Cumberland Valley and I found it at Ever Grain Brewing Co. Their Fluffhead Bavarian-style Hefeweizen is incredibly drinkable and perfectly balanced with notes of banana and clove. The atmosphere of this location makes you feel like you are a part of the brewing experience and includes Ever Grain’s Craft Kitchen. The Fluffhead Hefeweizen and the soft pretzel are an unbeatable combination! One of my favorite spots along the Cumberland Valley Beer Trail is newcomer, Mellow Mink Brewing. Tucked along the Carlisle Pike, it would be easy to miss this brewery from the outside, but the inside is super relaxing and inviting. The décor is sophisticated but not stuffy with comfy seating and a cool bar in the middle. They specialize in sour beers with creative options. Two of my favorites are the Tropical Escape, a sour gose with passionfruit, and the Apple Pie Sour brewed with apples and cinnamon sticks. If you don’t like sour beers, they also have house-made sparkling waters and sodas on draft and offer a selection of locally-sourced wines and spirits.